To subscribe to our newsletter, please scroll to the bottom of this page. On Thursday, our legal team were back in the High Court, asking permission for a judicial review. 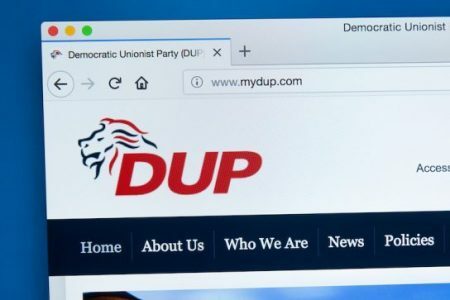 As you may remember, we launched proceedings against the Electoral Commission for its failure to investigate the Constitutional Research Council, the shadowy group behind the £435,000 donation to the DUP during the EU Referendum, and the DUP. The High Court expressed concerns about the quality of the Electoral Commission’s investigation, and said it is “inevitable” that the Commission will have to review its failure to investigate the DUP. But the Court said it wanted us to wait for the outcome of the Electoral Commission’s appeal in the Vote Leave case where we established it had failed to apply the law. If, following the outcome of that case, the Electoral Commission still won’t properly investigate, we will issue further judicial review proceedings. You can read more here. In our last newsletter, we told you that we had issued formal proceedings against the Government over its regulation enabling “Serious Shortage Protocols” (SSPs) that allow pharmacists – not doctors – to reduce amounts of medicine or prescribe different medicines if we have No Deal. We have now published, alongside our pleadings and witness statements, the Government’s response. Three points leap out from that response. First, the Government now agrees SSPs are “designed to enable the Secretary of State… to address serious drug shortages… in the event of a no deal Brexit” – so the Government now admits that “serious drug shortages” are a real possibility if we have no deal. Second, the Government says there is no public interest in challenging the lawfulness of SSPs because they are necessary to protect the public. This is an extraordinary response to an allegation that a measure is unlawful. It amounts to a denial that there is an overarching public interest in Government acting in accordance with the law. But the necessity for Government to do so is the very essence of what the rule of law means. Third, the Government’s response assumes that if its “thoroughly important legislative measure” to protect public health is struck down it would nevertheless continue with a No Deal Brexit. This is what a Government in the grips of madness sounds like. We believe the time is right for MPs must stage an intervention. Please do consider supporting this case. You can watch Channel 4 News’ coverage of our case here. Last week, we wrote to HMRC with a formal threat to issue judicial proceedings if they continue to refuse to issue VAT assessments against Uber to protect what we believe to be over £1,000,000,000 of unpaid VAT. This is money we desperately need to fund schools and hospitals and other vital services. And the reasons HMRC have given for refusing to raise assessments just don’t stack up in law. We won’t stand by and watch as the UK becomes a place where the poor and the powerless and small businesses get a hostile environment and the wealthy and powerful get the red carpet. You can read the documents in that case here. If you think our work will be of interest to friends and family – please send them this email and invite them to join our mailing list. If you like what the Good Law Project is doing, please consider becoming a member or making a one-off donation.